With the widespread growth of interest in ERP systems seen over the past several years, many companies in a number of different industries – including manufacturing – have been able to find more efficient ways to operate. With this in mind, one area some companies haven't taken the time to explore is automating their time tracker software to make things run just a little smoother. There are many benefits to adopting Dynamics NAV Time Collection as part of a larger ERP system, with perhaps the biggest being that getting all the necessary payroll data becomes much easier, according to IT Business Net. This is true for a number of reasons. First and foremost is the fact that when time collection is automated, so there are no issues with lost timecards, or those that are filled out incorrectly. Further, workers don't have to spend time they could have otherwise used for actual job duties filling out physical or even electronic reports of their hours worked. Indeed, another big hours tracking issue is that employees will often log time at the end of the day or week, rather than on an ongoing basis, the report said. This can lead to more inaccuracies than employees might have intended, and sometimes even more outright fabrications. By using mobile devices to more accurately track hours worked, experts say manufacturers and those in other industries can crack down on incorrect timesheet information and spot breaks in work that would have previously gone under- or unreported. There's also the obvious benefit in terms of time for decision-makers to spend on something other than organizing and recording timesheet data, the report said. When the entire time collection process is automated, that may free up a few additional hours per week that could be better spent on other administrative tasks. In addition, experts generally say this is also a benefit because employees tend to see the task of filling out timecards every week or two to be a bit of a hassle, according to Business News Daily. By getting the process automated, that goes away and may lead to better information and a happier workforce. "The goal of an automated time and attendance system is to provide a way to track an employees' time," Warren Steinberg, a consultant for Executive Alliance, told the site. "This can be as basic as tracking working hours or as complex as tracking vacation, leave of absence, holiday and sick time. The most common time systems have an interface that allows employees to clock in and out, either via a kiosk, a laptop, a time clock, or even a mobile app. 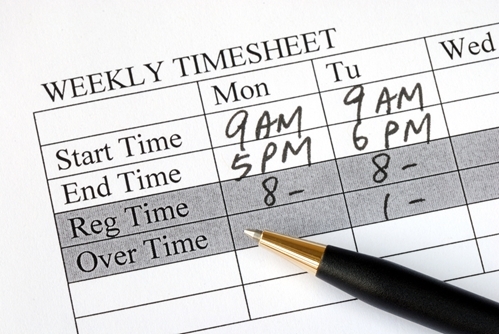 All of the time is tracked in the system and then is reported to a payroll system." The more businesses can do to implement a Dynamics NAV timesheet system to replace outdated physical processes, the better off workers and executives are likely to be in the near future.